Pediatric oncologist Prof. Stefaan Van Gool (1963) developed himself as a pioneer immunotherapist for brain tumours in children. 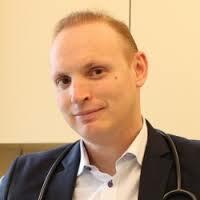 As an assistant in pediatrics, he worked with Prof. Casteels Van Daele, the main pediatric oncology in Leuven. Then, he worked in the lab of Prof. Jan Ceuppens learning basic immunology research. 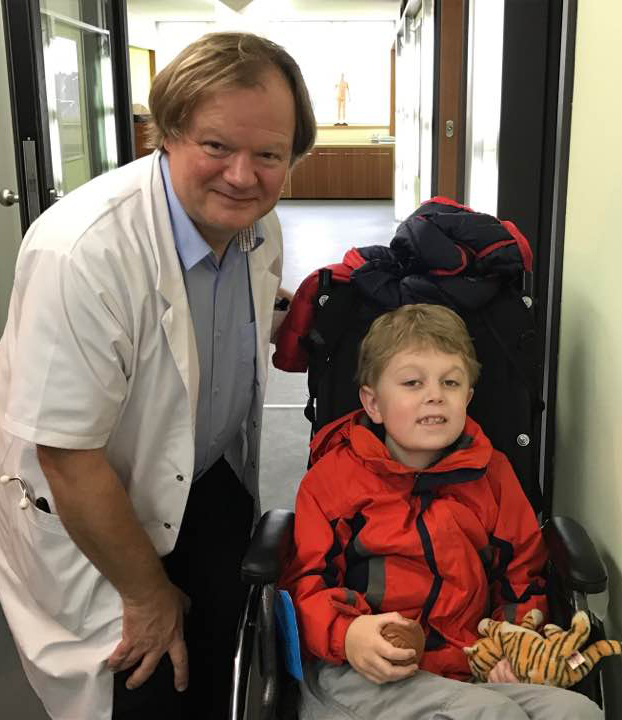 He followed clinical training in Germany to learn to treat brain tumors in children, where Prof. John Wolff introduced him to put his knowledge of immunology to develop a new treatment strategy for brain tumors. In Leuven, in 1999 he collaborated with Prof. Joachim Kühl, and with dermatologist Prof. Eckhart Kämpgen who used immunotherapy for cancer, and they decided to be more experimental. He has deliberately chosen pediatrics, because the children's department is an atmosphere of growth and development of positivity and naivety too. One of the problems of immunotherapy is that we still do not know why a cure to one patient does not work as well in another. He is working to improve the vaccine, for example using nanotechnology, with the addition of oncolytic viruses (i.e. viruses that attack cancer) and reinforce the tumor antigen (molecule that triggers the immune response). Dr Jarosz is Clinical Director of Neurosciences at King's College Hospital and consultant neuro radiologist and co-leader of the Clinical Neurosciences Clinical Academic Group. Professor Justin Stebbing trained in medicine at Trinity College Oxford, where he gained a first class degree. He undertook a residency programme at The Johns Hopkins Hospital in the US, returning to The Royal Marsden and then St Bartholomew's Hospitals in London. His original PhD research investigated the interplay between the immune system and cancer; he was appointed a senior lecturer in 2007, and a Professor in 2009. He has published over 550 peer-reviewed papers as well as writing regularly for national newspapers and presenting new data on optimal cancer therapies at the major international conferences. His focus at Imperial is on new therapies in cancer, and the systemic management of patients with solid malignancies including a number of new biomarker-based approaches, with an emphasis on circulating tumour cells and cell free DNA. His laboratory work is concentrated on new druggable target discovery and gene regulation examining the role of non-coding RNAs in stem cells. He is a Fellow of the Royal College of Physicians, the American Board of Internal Medicine and the Royal College of Pathologists, and sits on the advisory Boards of a number of international cancer committees. He chairs the World Vaccine Congress and the Irish Cancer Society oversight committee and is on the editorial board of a number of world leading general medical and cancer journals such as the Journal of Clinical Oncology and the Lancet Oncology; he was awarded the Silvia Lawler prize in 2015. The National Institute for Health Research (NIHR) awarded Justin Stebbing its first translational research professorship in oncology, aiming to bridge the gap between the laboratory and the patient to ensure therapy is personalised. He has an extensive clinical practice and links this to a wide number of translational research studies and immunotherapy trials. In 2016 Justin was internationally recognised with his appointment as Editor-in-Chief of Oncogene (Springer Nature's foremost cancer journal) and election to the American Society for Clinical Investigation.